Even though Spring is here, we still have a few “cool” days slip in, and our family wants SOUP. In fact, we actually love soup all year long. 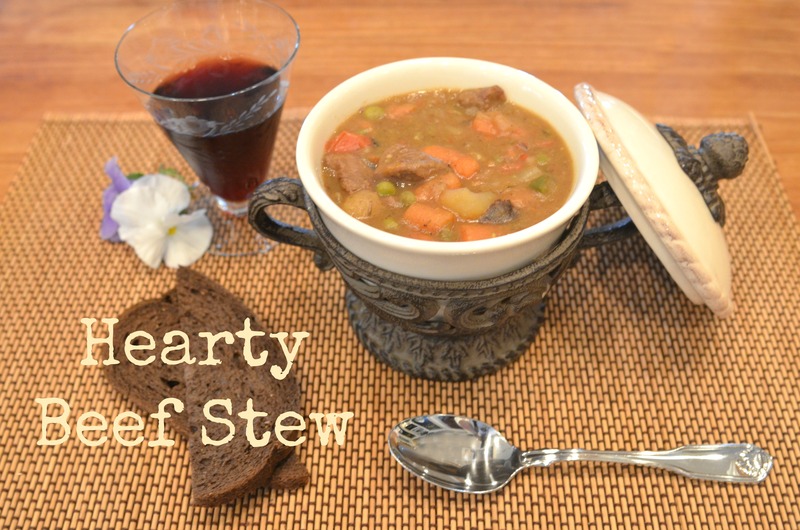 When you are wanting a nice warm bowl of hearty soup…this is a perfect choice. It’s easy to fix and full of healthy veggies. You just can’t mess this one up….give it a try this week! In a medium bowl, mix the whole wheat flour with the salt, pepper and cumin. Add the sirloin tips and toss them until covered. Add oil to a large soup pot and heat. Add the flour-dusted beef tips to the hot oil and saute until lightly browned. Add the garlic, parsley, rosemary, thyme and bay leaf. Pour in the beef broth, red wine and Kitchen Bouquet and simmer. Add all of the chopped veggies and simmer on medium-low, covered for at least an hour…stirring occasionally. Serve with a bread of your choice. This is even better the next day after the flavors have all blended together. YUMMY!